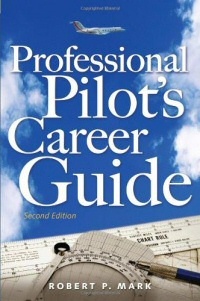 A valuable employment tool, the Professional Pilot Career Guide provides a complete sourcebook of professional flying opportunities. This updated guide contains detailed coverage of pilot ratings and practical test standards-plus goal-achieving tips on job hunting, networking, regional airlines, the majors, and more. Robert Mark, is a 30-year aviation-industry veteran and the Chief Executive Officer of CommAvia, a business development consulting group that specializes in marketing, public relations, issues management and community relations solutions for airports and aviation businesses around the globe. He writes an aviation-industry blog at Jetwhine.com. A contributing editor to Aviation International News, Mark was, in 2004, named the Airbus Aerospace Journalist of the Year. A former senior associate with Ogilvy PR Worldwide, he also serves as editor of IFR Refresher magazine. 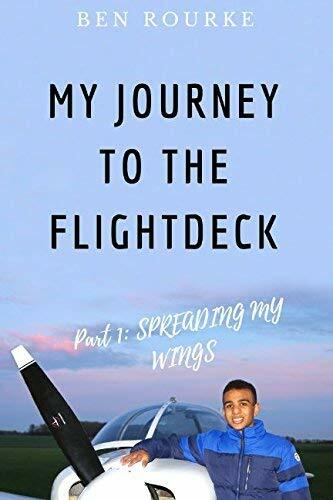 Author of four aviation books for McGraw-Hill, he has written for Business & Commercial Aviation, Professional Pilot, Flying, FLTops.com and Air Line Pilot magazine, as well as The Chicago Tribune. His latest book, a Professional Pilot Career Guide, was published by McGraw-Hill in June 2007. As a professional speaker, Robert Mark has engaged audiences on a variety of aviation and business topics at regional, as well as national convention meetings for the Association of Airport Executives (AAAE), the Florida Aviation Trades Association (FATA), the National Air Transportation Association (NATA), the Minnesota Aviation Trade Association and the Aircraft Owners and Pilots Association (AOPA). Mark has also appeared as an aviation expert on PBS, CBS and NBC TV, in additional to being a regular on the Fox News Network. He is a former airline and corporate pilot, as well as a current Certified Flight Instructor. He has logged over 6200 hours in aircraft from a Cessna 150 to the Boeing BBJ and even Dassault's new Falcon 7X. Ten years of his career was also spent with the Federal Aviation Administration (FAA). Robert Mark received his Master's Degree from the Integrated Marketing Communications program at the Northwestern University's Medill School of Journalism. He received a Bachelor's Degree in English from Northeastern Illinois University. Contact Rob Mark at rob@jetwhine.com, through the blog at www.jetwhine.com, or on the phone at 800-579-6787.